The Breville VTT212 two slot two slice stainless steel toaster is a sleek and smart addition to any kitchen boasting a number of helpful features. 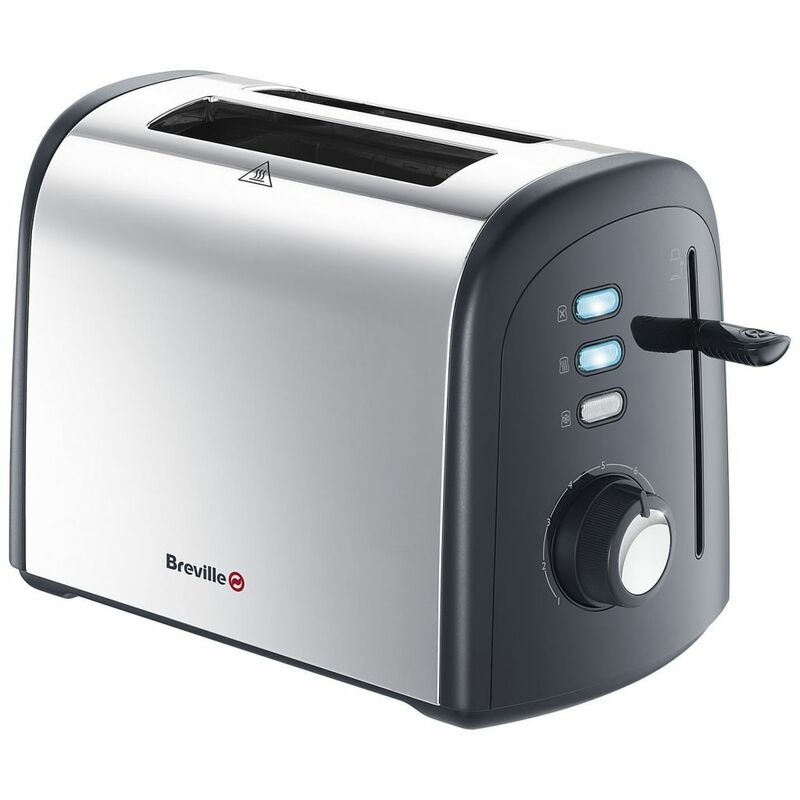 It has variable browning control which allows you to choose how dark or light you like your toast and variable width slots allowing breads of various thicknesses to be fully toasted. So whether it's a small slice or something a bit bulkier--all sizes are properly accommodated. Features include a reheat button which brings cooled toast back up to temperature without burning it; a defrost button which automatically lengthens the toasting time to allow for the defrosting of frozen bread and a mid-cycle cancel button allowing you to stop the toasting process as and when you want to. Remove smaller items without burning your fingers thanks to the extra-high lift which raises the bread carriage for easier access. And keep crumb mess to a minimum with the removable crumb tray which collects any crumbs that may fall from the bread as you toast it.